If product launch and ongoing production and marketing activities are to succeed, Manufacturing and Marketing teams must be on the same page. Todd Applebaum and Joan Bramer of Maxiom Group (www.maxiomgroup.com) discuss how to make it happen. As life sciences companies commercialize new products, a high degree of coordination is required between a broad range of supporting functions. Too often, however, there are large communications gaps between two groups critical to the success of the launch, Marketing and Manufacturing. Both play important, but very distinct, roles in the preparations for launch and can easily become out of alignment with each other. Marketing professionals often do not fully realize the complexity and timelines required for manufacturing and supply. Manufacturing, on the other hand, may not appreciate the significant uncertainties faced in developing the market or the impact effective marketing campaigns can bring. From our work with life sciences companies commercializing new products, here are several examples where communication is critical between these two groups and where it can easily break down. Making the effort and leveraging the expertise each party brings to the table can lead to a real sustainable competitive advantage. The process of forecasting, while portrayed as a scientific process based on market research and customer data from credible sources, is still very dependent on many uncertainties in the market and regulatory environment, as well as other factors well outside the control of Marketing. The resulting forecast, typically represented as a series of point targets over time, does not overtly reflect these uncertainties or the range of potential outcomes that went into its determination. 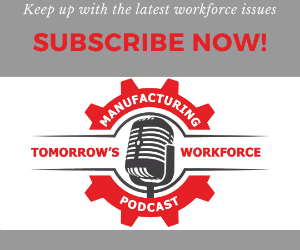 Manufacturing, as a result, has historically made forecast adjustments on their own to account for potential manufacturing timelines and supply variabilities. With the two groups working to different projections, excess product or product shortages are common and launch plans can be jeopardized. For Marketing it is important to understand the long lead times for critical manufacturing and supply activities, and the necessity of having early indicators of demand. Rather than waiting for a “firm” forecast to be formalized and shared with the organization, Manufacturing must plan capacity and target yields well in advance of launch. This is even more important today since many APIs and drug products are outsourced to contract manufacturers (CMO). Capacities and quantities, as well as flexibility in run sizes are important aspects of CMO contracts that must be negotiated often 2-3 years prior to launch. Manufacturing, on the other hand, needs to consider the real market and regulatory uncertainties as they develop supply plans and establish infrastructure. While they may not need to know the details of various marketing campaigns, Manufacturing should understand the range of potential demand outcomes that can result from the combination of marketing tactics and market uncertainties. This will help to define the degrees of flexibility that must be considered in designing the supply network or contracting for outsourced production. The key is to share forecast information early and often, and not just the final “number”. When Marketing and Manufacturing jointly discuss and understand the demand and supply assumptions that are being made and the important uncertainties that still exist, they are both best prepared to react to potential changes in market conditions. When both departments communicate effectively, they can put parameters around the surprises that can occur, whether the surprise is from a production delay, an unexpected regulatory or labeling change, a new competitor’s launch, or a reimbursement change. In many cases we see, packaging is overlooked by Marketing until late in a product’s Phase III trials, leaving professionals within the manufacturing group to make commercial packaging decisions 12 -18 months earlier. While these packaging professionals usually have some basic understanding of marketing directions, early decisions on package form can be driven primarily by stability, storage, and handling considerations, with little guidance on the needs of patients and physicians in using the drug. As a result, assumptions and decisions made without market input often must be reworked later in the process. However, as marketers understand, packaging and delivery mechanisms are a key component of a product’s success in the market, and can be a source of competitive advantage. From patients with “needle phobia” looking for auto-inject pens, to blister packaging that helps to ensure compliance, to easy-open and dispense containers for geriatric patients, packing selection can provide consistency in messaging/branding, and make a difference in satisfying unmet market needs. Conversely, poorly designed packaging can lead to a lack of market acceptance, difficulty using the product, decreased sales, and an opportunity for competition to enter the market. When Marketing isn’t involved early enough, assumptions are made and often rework results, or you’re stuck with suboptimal packaging. As a consequence, it is important for Marketing to get involved early in the packaging conversation. Manufacturing should ensure that input on customer and physician needs is taken into consideration when they begin planning for commercial packaging. Effective collaboration to incorporate both supply and market considerations can reduce supply costs and bring a decisive edge to the marketing of the product. Later, after the package form is determined, continued interaction on trade dress will help to ensure consistency in branding. Marketing is also not typically involved in drug formulation discussions, and if invited to the discussion, it’s often at a late stage. Even many Marketers tend to overlook formulation as an area where they can add value, as it does not neatly fall into the standard 4P’s (Product, Place, Price and Promotion) of marketing, However, from the taste of a new medicine (remember the bubble gum taste of your childhood liquid antibiotic), to the size and look of a new pill (how could we forget “the purple pill”), to special extended formulations (once a day for day long relief)—formulation is extremely important to success in the market. Companies can gain a competitive edge by utilizing the power of a customer-orientated formulation to differentiate the product in the market and gain share of mind and sales. Formulation development is traditionally viewed as a means of achieving an optimal activity level—making the drug work most effectively. From a Marketing perspective, however, formulation can also have an impact on making the product more attractive and easier to use. Far from an afterthought, if a drug is not easy to take, as in a simple oral formulation, it may lead to the need for support services, additional kit components, or training HCPs and /or patients on how to best administer the drug. By working closely with the drug formulation group, marketers can add important patient profile information that could significantly aid in market acceptance, patient compliance, and persistence. Listening to the voice of the customer as revealed by marketers through their market research and customer contact can make a decisive difference in how a drug’s formulation can significantly impact patient compliance. Reinforcing and fostering close communication between manufacturing and marketing to capture the power of a new market driven drug formulation input can help to ensure a positive outcome in your company’s product launch. Although many marketers are focused on “getting-the-order”, their job isn’t done when the product is launched and the script or order is taken. It continues until the product is delivered in a secure and timely manner to the patient. This “last mile” of the supply and distribution chain is another opportunity to differentiate the product and create a competitive advantage. In many cases, however, this last mile is left to traditional wholesale and distribution channels, with little thought to the advantages of alternate channels. Availability through specialty pharmacies, at doctors’ offices and clinics, or directly to the home, can often improve access, ease of use, and patient compliance. When properly designed, the last mile can also ensure proper storage, transportation and delivery controls for the product. Last Mile decisions are typically driven by Marketing, but often too late to impact warehousing, customer service, and packaging/shipping decisions. By developing their plans earlier, Marketing can provide relevant market-driven guidance and avoid being constrained by infrastructure decisions made earlier in the process. Simplifying the ways to effectively reach patients with their medication in a timely and efficient manner is considered an advantage that should be explored jointly to help drive patients and market acceptance of the drug. If it is a difficult or confusing method, then patients and physicians will search other alternative drugs. Making the connection to the patient easy and effortless is the key to launch success. In our experience working with both emerging and established life sciences companies, making the effort to understand and integrate the concerns of Manufacturing and Marketing can boost chances for launch success. Establishing formal lines of communication, especially in areas of forecasting, packaging design, formulations, and product supply, coordinated by a cross-functional integrated launch team can not only lead to a closer working relationship, but also increase the likelihood of a successful launch and post launch sales achievement. Most importantly, it can also be a source of real, sustainable competitive advantage in the marketplace.